Universal Orlando Resort is full of great attractions with over 25 rides between Islands of Adventure and Universal Studios. Here is the top 5 list do not miss attractions for adults. Thrill seekers won’t be disappointed. You accelerate from zero to 40 mph in two seconds flat, with the force equal to that of a jet taking off an aircraft carrier. The world turns upside down as you experience a weightless “zero g” roll. Then you feel a surge in power as you pick up speed and a menacing roar fills your ears. All you can do is hang on as you experience the rage, power and fury of the Hulk, smashing through the sky and plummeting down to earth on a high-speed roller coaster rampage of destruction. The Hulk launches riders upward 150 ft. and reaches top speeds of 67 mph. The ride has a total of seven inversions and two subterranean trenches during the 2-minute 15-second ride. You must be 54” to ride this attraction. Any coaster fan needs to add this awesome launch coaster to their list! The best time in my opinion to ride is at night, you literally have no concept of where you are going! Express Pass is accepted. Enter through the towering castle gates and make your way down the familiar passageways and corridors of Hogwarts™ School of Witchcraft and Wizardry. You’ll visit iconic locations such as Dumbledore’s office, the Defence Against the Dark Arts classroom, the Gryffindor™ common room, the Room of Requirement and more. 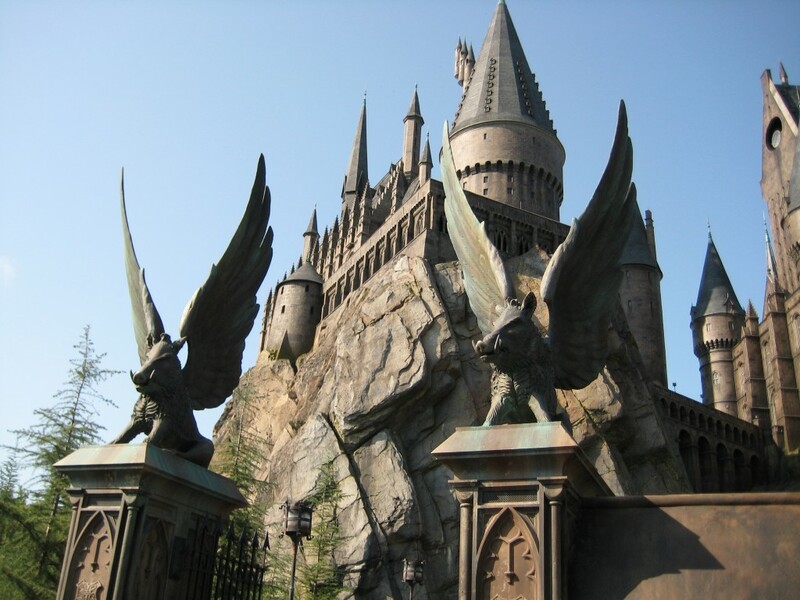 Then get ready to soar above the castle grounds as you join Harry Potter™ and his friends on an unforgettably thrilling adventure, coming face-to-face with an array of magical creatures! This amazing attraction uses groundbreaking, state-of-the-art technology (and a little magic) to create a one-of-a-kind ride experience. This is a good family attraction as the height requirement is only 48”, however if any of the kids are prone to motion sickness you may not want to let them ride. It’s the most intense indoor attraction I have ever experienced. It’s thrilling and brings the Magic of Hogwarts to life in front of you. Marvel at the blazing Goblet of Fire™ and the shining Triwizard Cup as you take on the Dragon Challenge™. Choose your dragon: an aggressive Chinese Fireball or a ferocious Hungarian Horntail. Then climb aboard and hold on tight as the two dragons twist and loop in a intertwining roller coaster chase across the sky. Dragon Challenge is actually two high-speed roller coasters – each “dragon” is a completely different ride. You must be at least 54” to ride Dragon Challenge. Every Wizard will want to try their hand at the challenge! …Gasping with excitement, you’ll rock out to the song YOU pick before strapping in. And, it’s all recorded on video. Edit your adventure into a music video, and buy a copy to take home or send to your friends. Reaches top speeds of 65 mph and towers 17 stories over Universal Studios Florida. Rockit features six near-miss moments and first-ever thrills including a record-breaking loop. It’s true high-tech, customizable, multi-sensory entertainment. This groundbreaking combination of audio and special effects engineering, sophisticated on- and off-board video and one-of-a-kind personalization takes you on a coaster experience unlike any other. Orlando’s tallest roller coaster also features several exciting, “never been done” elements, including the world’s first non-inverting loop. Height requirement on this attraction is 51-79”. Express Pass is accepted. Your only hope is to escape the Revenge of the Mummy, a roller coaster unlike anything that’s come before it. You’ll plunge in total darkness, plagued on all sides by huge fireballs, swarms of scarab beetles and an army of warrior mummies. Universal Studios® has taken all the terrifying thrills and spine-tingling excitement of The Mummy motion pictures and placed you right in the middle of the action. Come face to face with the Mummy as he attempts to capture your soul for all eternity. Can you survive the awesome power of Imhotep’s curse…or will you be entombed inside forever? The ride catapults guests at speeds up to 45 mph in virtual darkness. Many of the Egyptian hieroglyphics on the walls spell out real words and ancient warnings. You must be at least 48” tall to ride. This is probably one of my favorite attractions at Universal Studios, it is completely unexpected and incredibly fun! Express Pass is accepted.